Another look at one of 2012's best iPhone and iPad puzzle games. 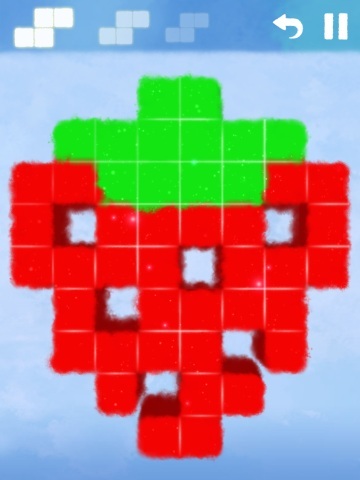 The mark of any great puzzle game, especially one containing Tetrominos, is the ability for players to see those falling shapes at all times, even with their eyes closed. Not only do they think about fitting these pieces together in their free time, they also dream of doing it. 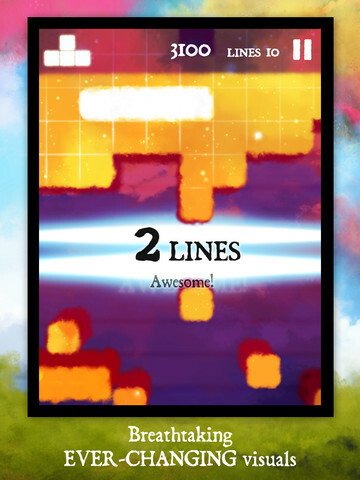 Outside of Tetris, nowhere is this more evident on smartphones and tablets than Dawn of Play's Dream of Pixels, an outstanding iPhone and iPad puzzler that takes the Tetris formula and literally flips it upside down. On that note, we caught up with developer Ziga Hajdukovic to find out where the concept came from, and what plans the team has for the future. It's clear that Tetris served as inspiration for Dream of Pixels, but how did you get the idea to essentially flip the gameplay? That came from my subconscious, lying in bed one evening trying to sleep. The same way I get all the cool game ideas, in fact, like the one-dimensional Tetris and Twinoo Brain Training for both of your brain hemispheres. The idea was in my head for a while, but that evening, it finally dawned on me that I should reverse the one legendary puzzle game. Wrote that down and hacked a prototype together the following night. Where is Dawn of Play based, and what is the video game culture like over there? We're based in Ljubljana, the capital of Slovenia, on the sunny side of the Alps. The game development scene is actually quite lively. A decent amount of game development is going on around these parts for such a small country. We have a SloGameDev community up and running with a facebook group, and this blog. Oh, and a hot tip: look out for the launch of this game our friends made: Toonia, on December 20th. Go here for more info. How many people worked on Dream of Pixels, and if you don't mind our asking, how much did it cost to develop? The core team includes me as the game designer and lead, Matej Jan AKA Retronator as the lead coder, and Jan Hadzic as the art director. Samo Pajk joined us mid-project to help us finish the coding on time, but the whole team of eight of us had at least something to do with the development. The costs of development are closing in on $100,000. Has the game performed to your expectations sales wise? What are the biggest challenges you've faced? Well, no, not really. Dream of Pixels is not doing so well sales wise. We are still far from even covering the cost of development. One of the biggest challenges for us is getting featured on the App Store, as I am quite positive the game is feature material. We are actively looking for the magical formula on what (more) to do to get up on the iTunes front page. Some of the new puzzles are based on characters from pop culture. Are there any copyright issues that would affect their existence within the game? We don't think there should be any copyright issues. It's just an honest tribute to those characters we love and are big fans of. What are your thoughts on the game's critical reception so far? The amazing critical acclaim and press response we received is quite overwhelming, really. Above all our expectations, to be honest, and we're really excited about that. Dream of Pixels was the top game of November on Metacritic, surpassing Angry Birds Star Wars. Then it was named the #1 Tetris-inspired game by QualityIndex, with Tetris itself at #5. Well, I think we successfully established Dawn of Play as the creator of quality games, and that really means a lot to us. Are there any plans for head-to-head multiplayer via online or Wi-Fi? There are ideas on this, yes, even had a couple of fans suggest that, so this one is definitely climbing our to do list. What are your favorite puzzle games on the App Store right now? Primrose, Fuusio, Fluxe, Slydris and Polymer.